Whatever your symptoms are – back pain, headaches, fatigue and so on – they arise from how your body and brain holds stress. At Tree of Life, we assess both your physiology and nervous system. 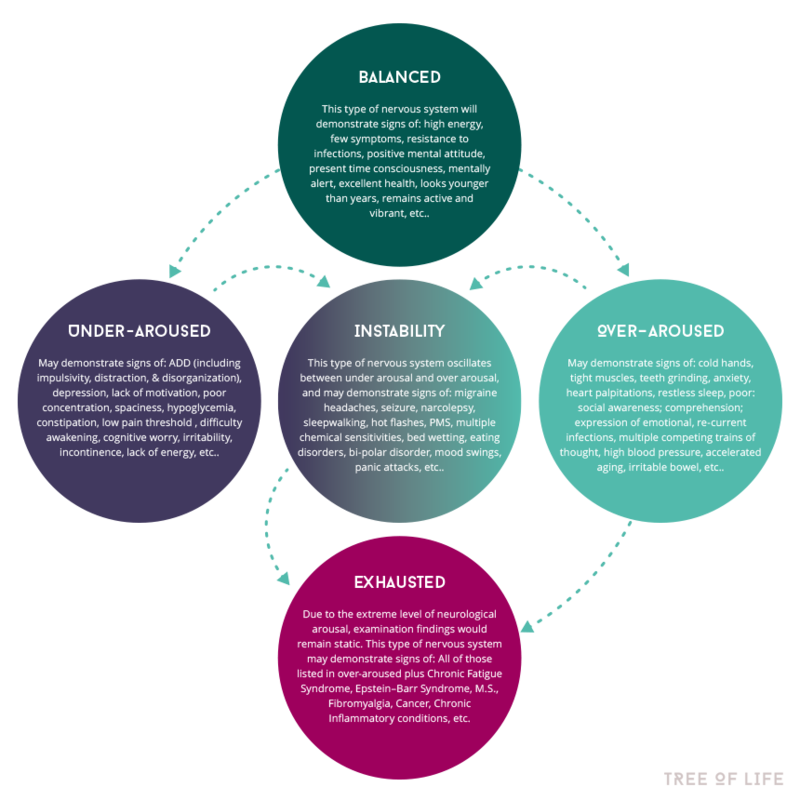 At different times, most of us are either overstimulated, or understimulated – and in time, your system can become chaotically unstable, and eventually exhausted. Which category do you fit in for your Personal Stress Profile? Take a look at the chart below and see where you’re at.